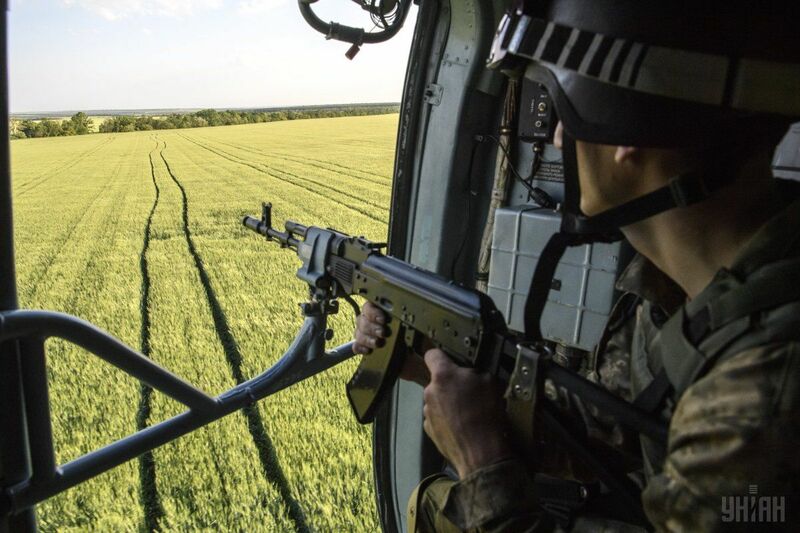 The Ukrainian Anti-Terrorist Operation (ATO) Headquarters has reported 34 attacks on Ukrainian troops in Donbas since the beginning of Wednesday, June 7, as a result of which two Ukrainian soldiers were killed in action (KIA) and 11 were wounded in action (WIA). "The current situation in the ATO zone remains tough ... The most difficult situation today is in the Luhansk direction, as this part of the front has become the epicenter of the enemy's fire," the ATO HQ's press center wrote on Facebook on Wednesday evening. The Ukrainian soldiers who are defending the villages of Novotoshkivske and Krymske are under intensive fire, as Russia's hybrid military forces have been using proscribed 152mm, 122mm, 120mm artillery systems and 82mm mortars. From time to time, they use grenade launchers, large-caliber machine guns and infantry fighting vehicles' weaponry. Read alsoEscalation in Donbas: 8 WIAs amid 85 enemy attacks in last dayRussian-backed fighters from the self-proclaimed Luhansk People's Republic were said to have provoked a fight near the militant-controlled village of Zholobok after they mounted a heavy attack on Ukrainian troops at 05:30 local time on June 7. They used weapons of different calibers – from machine guns and grenade launchers to 152mm artillery systems. Acting chairman of Novotoshkivske village administration Dmytro Kondratyev reported that the water supply system and civilian houses had been damaged, and the local authorities were considering the evacuation of children from that area. In the same sector, illegal armed formations used grenade launchers to shell the town of Zolote and the village of Stanytsia Luhanska. Large-caliber machine guns were fired not far from the village of Novo-Oleksandrivka. The Mariupol sector also saw escalation when the Ukrainian positions near the village of Chermalyk came under fire from multiple rocket launchers at about 14:00 local time on Wednesday. The enemy also used banned 120mm mortars near the village of Shyrokyne, which is some 23 km from the Ukrainian-controlled strategic port city of Mariupol. In addition, the occupiers used grenade launchers and small arms to fire on ATO forces stationed not far from the villages of Pavlopil, Vodiane and the town of Maryinka. Violations of the ceasefire were also reported in the Donetsk sector when attacks on Ukrainian troops deployed near the town of Avdiyivka started at dawn as the Russian proxies opened fire from proscribed 122mm artillery systems. The enemy also used small arms, grenade launchers, and 82mm mortars in that area, as well as near the villages of Luhanske and Zaitseve.